To blog or not to blog? That is the question and the answer is a simple one: YES. 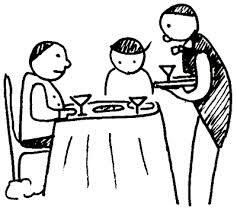 Especially if you own a restaurant! That is the reason we are here today is to offer tools and tips that can help you become a relevant blogger to your customers and potential customers. Adding social media to your marketing strategy – and it’s important to have one! If you don’t, send us an email and we can help you get into this crazy world – can increase awareness about your restaurant and food, generate motivated engagement and, of course, get more customers. Blogs are becoming increasingly important and it’s one of the most important sources of information about products and services. If you want to interact and influence your clientele, check out our tips below! 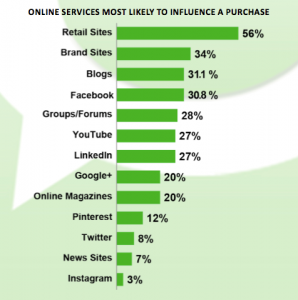 Purchasing decisions: blogs are more likely to influence a purchase than Twitter or Facebook. Blogs are the third-most influential digital resource (31%) when making overall purchases, according to the Digital Influence Report. In fact, blogs are the fifth most trustworthy source for online searches. YouTube, Facebook and Google+ are the most popular social media outlets for consumers. Think like your customer: create a tone for your blog based on who your customers are, what they like, where they live and what they do for living. Your content is made for them, not you. Exclusive offers and group deals: driving people to your blog means reaching a bigger audience. So if you develop exclusive offers for your visitors, you automatically increase your base of potential customers. Creating influence: did you know that influencers are most active on blogs? Blogging is the primary publishing tool and about a third of influencers said they have been active bloggers for five or more years. This means that if you blog, your brand awareness will not only increase, but it will also reach more customers and provide a richer visibility of your service and product. Content diversity: photos, videos and infographics are some of the visual content you can use to turn your blog into a must-see. 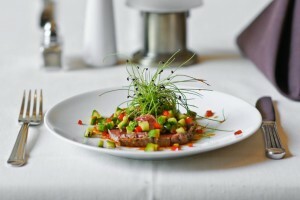 People like to see beautiful images, to share them with their friends and family, and as a restaurant owner, here is an extra tip: how about shooting a picture of your delicious food, kitchen and staff to show what your place looks like? A picture is worth a thousand words: do not forget to include Pinterest and Instagram in your blog. These promising platforms can help you develop an invaluable social media reach. Use it in your favor! Now here is our last question: what are you waiting for? Start blogging today and count on us for more tips! ← Is Print Content Dead?